Americans have a tendency to see themselves living outside of the rest of the world, Unable to concede the fact that they make up only a small portion of the world’s population and cultures. For the most part, Americans do not have a correct view of the rest of the world and believe they are the center of the universe. A culture’s disposition to isolate themselves from the rest of the world is known as nationalism, and since World War II America has grown more and more nationalistic. Leaders of today like, Donald Trump, Steve Bannon, Mike Pompeo, Steven Miller and others are relics of a time when the distance across the oceans, in fact, did isolate America. Today’s relics, learned nothing from history, from Hitler, from Mussolini or other leaders of nationalistic regimes that led to their countries ruin, while stomping a boot to the necks of innocents along the way. America stands against any country that does not bend its will toward American Interests. American nationalism, as that of Germany in the 1930s, not only sees other countries and cultures as threats to the “American way of life,” but see people other than white Christians as a threat also – this has become the bottom line of the relics that walk the streets of Washington. Perhaps, what puts Americans on edge most, is the fact that nationalism is springing up in other parts of the world, not just in Russia and China, but in North Korea, the Middle East, South America and across the globe. 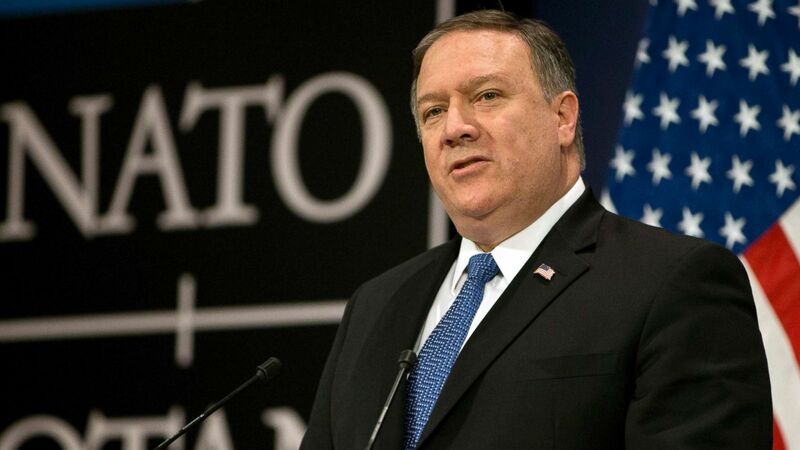 Secretary of State Mike Pompeo commented recently that he sees no need for global institutions like the United Nations or NATO. This is the world view of the Trump Administration, they believe joining others to fight common foes shows a weakness in the fabric of America’s superpower status. America wants nothing in common with the rest of the world except the recognition that the American way is the only way, and that the world should strive to be like America, Yet, at the same time, the Trump Administration is unwilling to take refugees from foreign lands. So their message becomes, strive to be like us but don’t try to come here and be one of us. This is where nationalism and patriotism get confused. Nationalism tells us that we want no dealings with the outside world unless it benefits America. This can be clearly seen in America’s trade policies under the Trump Administration. Nationalism tells us we are superior to other nations. Patriotism gives us admiration for our own nation, but does not belittle others. The antique relics in Washington want to blur the line between Nationalism and Patriotism so they are one in the same. Therefore, if you are not in favor of nationalism you are not in favor of America and are not patriotic. We see marks of nationalism disguised as patriotism in the beds of pickup trucks flying flags in an effort to show how patriotically American they are. This symbolism is no different that that of the Nazis or other fascist regimes throughout history. Photographs in history books are full of this kind of symbolism. So, as nationalists and would-be nationalist try to use their false patriotism against the rest of us, we must stand firm in our beliefs, and should always be driven by despair when we see our beloved nation turning into something we understand to be un-American rather than American. We should not be proud of a history that slaughtered Native Americans and still mistreats them. We should not be proud of a history that took 150 years to give women the right to vote. We should not be proud of a nation that treats people of color, be it their own countryman, like second-class citizens. We should not be proud of a nation that calls itself a democracy but tries to suppress minorities from voting. We should not be proud of a nation that separates children from families who are simply seeking a better life. A true patriot recognizes a nation’s shortcomings and seeks to correct them. A true nationalist is delusional about a country’s greatness and uses patriotism as a weapon against others on behalf of their own insecurities. Be a true patriot, not a false patriot. Recognize the Trump Administration for what it is, a antique relic of the past that has no place in today’s America.